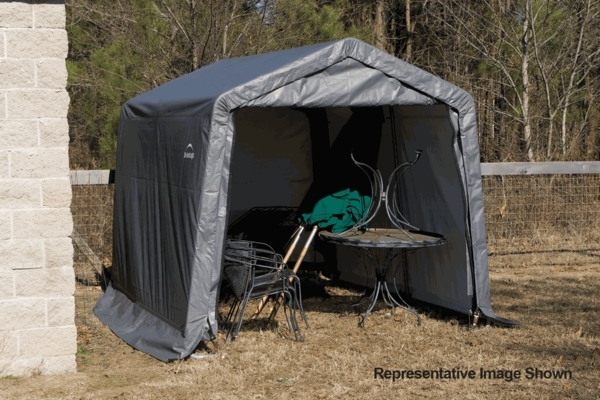 This Portable Shelter measures approximately 11 ft. W x 12 ft. L x 10 ft. H, and the peak style allows you to store vehicles, sports equipment and even boats. The sturdy 1 5/8 in. diameter steel frame is finished in a baked on DuPont thermoset powder coating that prevents rust and corrosion, and features the patented ShelterLock stabilizers which ensure structural strength, as do the secure bolt-together connection points. 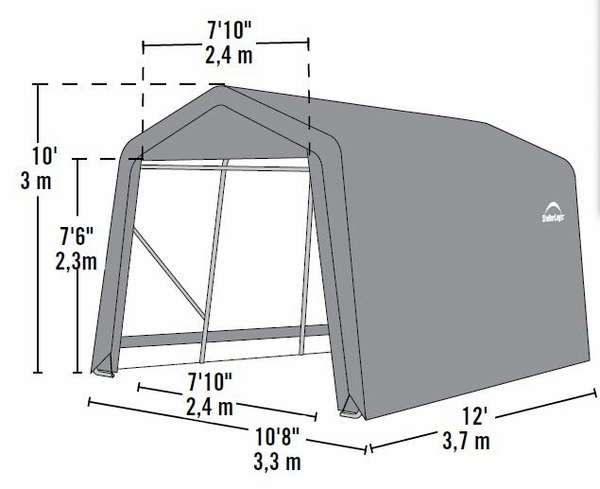 The cover for this shelter is constructed with a tough UV treated commercial grade 9 oz. woven polyethylene and features zippered doors on both ends for easy access inside. Can I buy this without the cover? You will need to contact ShelterLogic directly for that item. What is the assembled weight? The total weight of this canopy is two hundred and eight pounds. Very solid. Highly recommend. The only flaw is you didn't provide a way to hold the door in the up position. I made my own alteration, but that would have been so simple to have built into the units.